Cut the fabric into strips 3/4" to 1" wide. 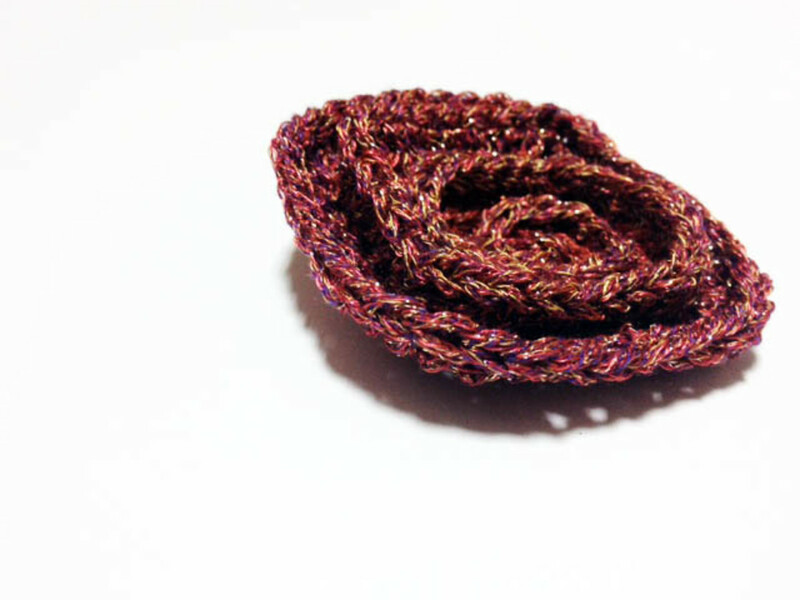 Tie the fabric strips together to make a ball of fabric strip yarn. Crochet a block of fabric 15" x 6". Fold the purse in half. Crochet the side together and then crochet the bottom together, leaving an opening at the top. 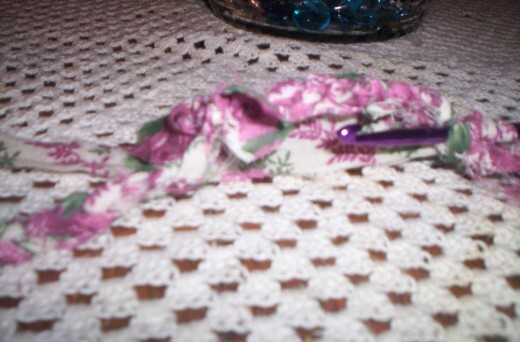 Cut off the loose pieces of fabric from the knots of fabric tied together. 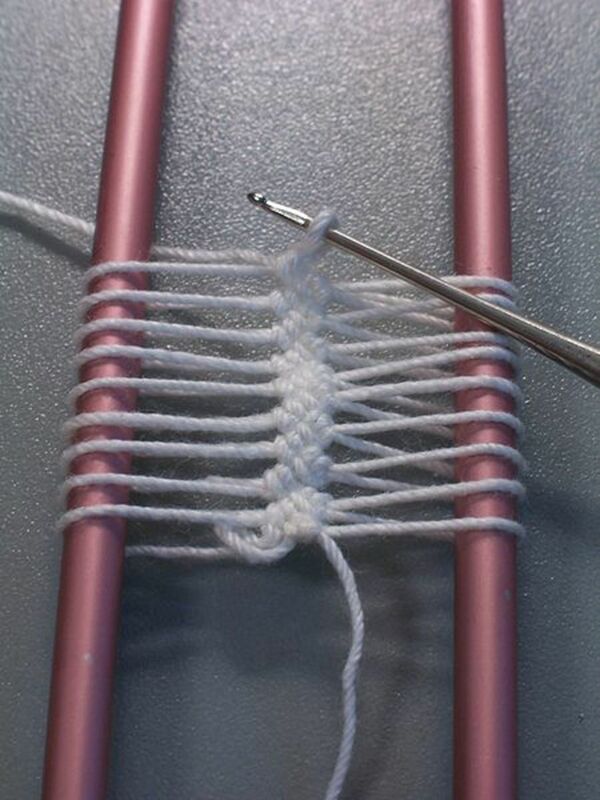 Crochet the handle with one row of single stitching and one row of double stitching crochet. Turn the purse inside out to hide the closing seams. 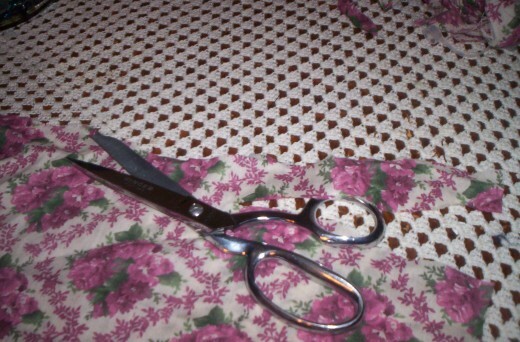 Cut out a lining for your purse from the same fabric. Also, cut two closing ties. Economic challenges led me to this idea. 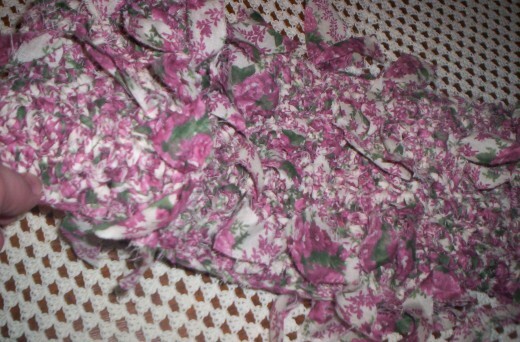 Not able to afford yarn to work with, I cut fabric into strips making fabric yarn from my fabric stash in the closet. Lightweight cotton like sheets works best for this project. The same concept and thicker fabric can be used to construct baskets. 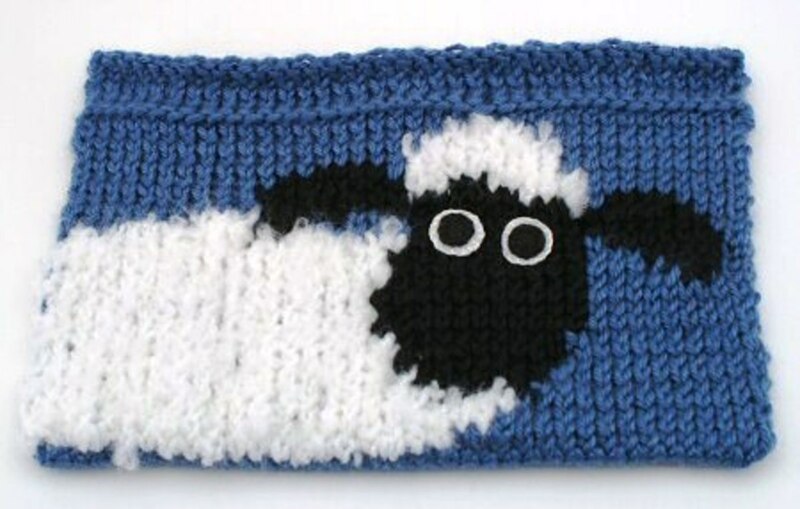 Here's the how to of making a crocheted fabric purse. I must let you know, that by no means am I an expert, neither at crochet or at taking and posting pictures. 1. Pick your fabric. 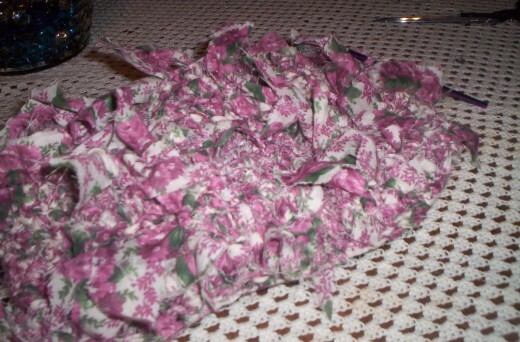 This purse takes a lot of fabric to make so be sure to use a very large piece like an old sheet. 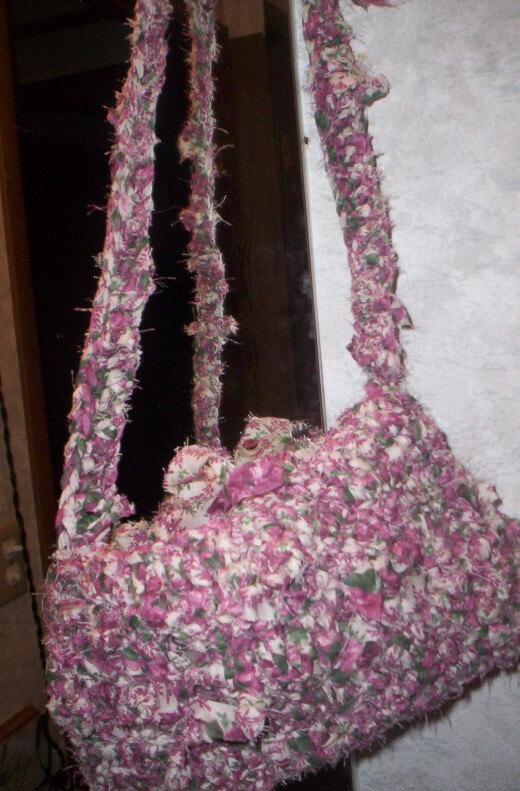 I think this particular purse took about 2 or 3 yards of fabric. 2. Cut the fabric into strips 3/4" to 1" wide. 3. 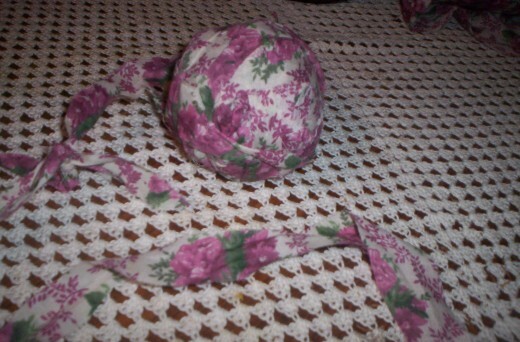 Tie the strips together to form a ball of fabric yarn. 4. 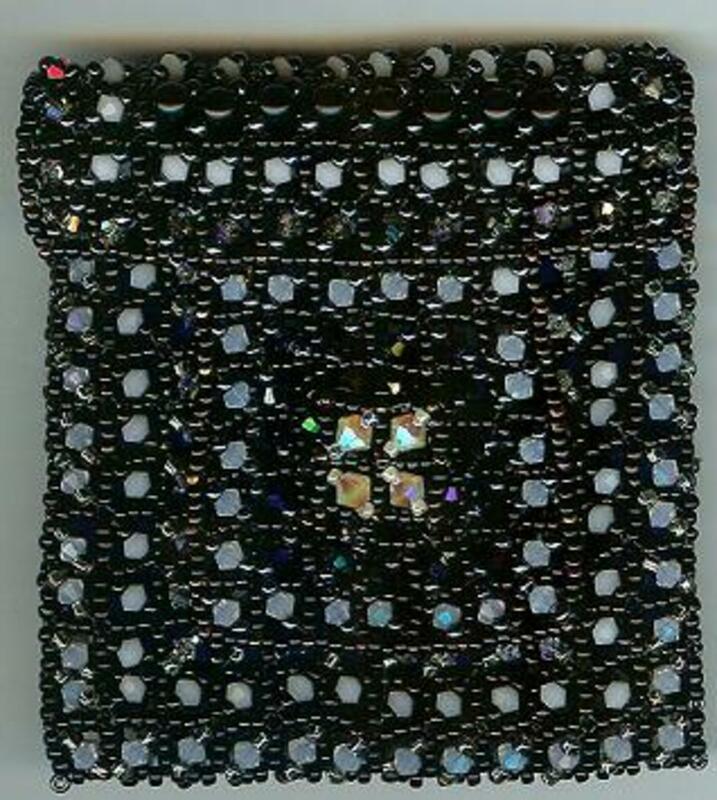 Crochet a block of 15" x 6" for the body of the purse. I used a size H, 5 mm crochet hook. I stitch using the double crochet. This makes the block grow faster. 6. Fold the purse body in half. 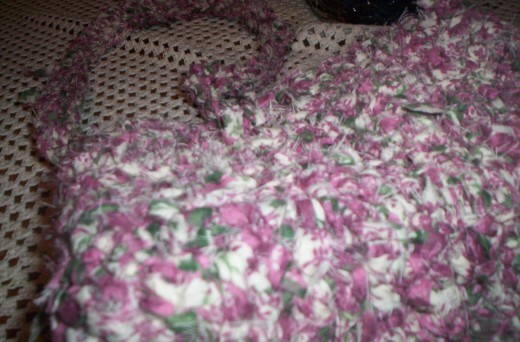 Crochet closed the side and bottom using a slip stitch. 7. Crochet the handle to the desired shoulder drop using a row of single stitching and then a row of double stitching crochet. Attach the handle to the purse body. You can choose to hand sew the strap onto the purse or to attach it with crochet stitching. 8. Turn the purse inside out to hide the closing seams. 9. Cut two pieces of the same fabric you crocheted with slightly bigger than the purse. 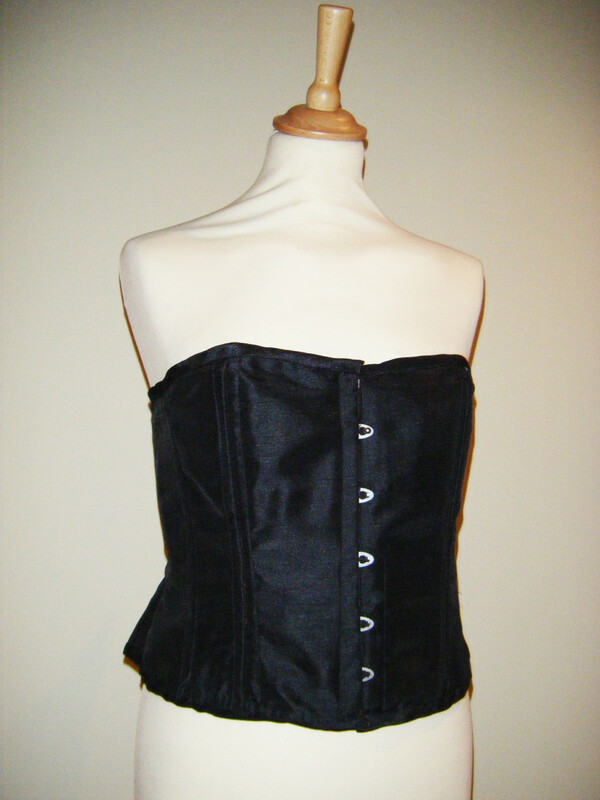 This allows for the seam allowances and to turn the lining top under when stitching in place. 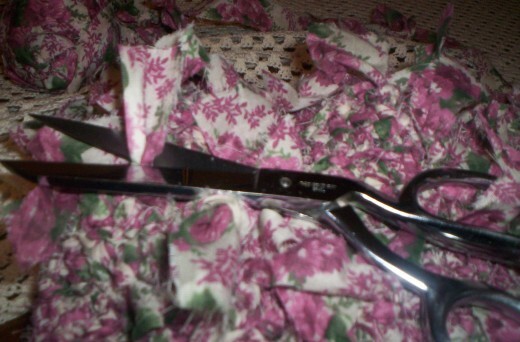 I usually lay the purse on top of the fabric and cut around the shape to get my lining. Cut out two pieces of 5" strips from the fabric yarn. These will be used to close the purse. 10. Sew a seam on both sides of the lining pieces cut out making sure the right sides are facing in. Sew the bottom if you didn't cut on the fold. 11. Tuck the lining pouch inside the purse. Pin in place at the top edge. 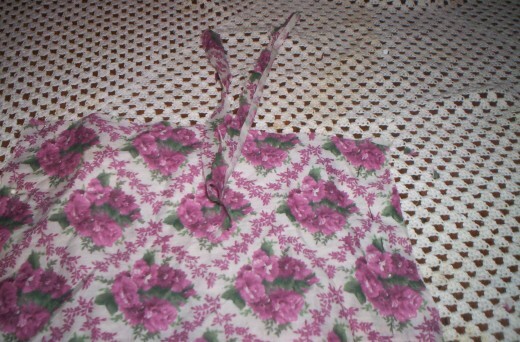 Put one closing tie in the middle of the top edge on both sides of the purse. Pin these under the lining pouch. 12. Hand stitch the lining in place. Tie the closing pieces of fabric into a bow. 13. Show off and impress your friends! This is such an easy pattern to crochet a potholder. The pattern is easy enough for a beginner. This is an article detailing some of the unconventional things I participate in to pay the bills. This article offers suggestions for those looking to earn outside of working for someone else. Suzanne, That's my favorite part of crocheting like this. It costs absolutely nothing but time. I work at a dry cleaner and frequently "shop" from the abandoned clothes section to fuel my craftwork. 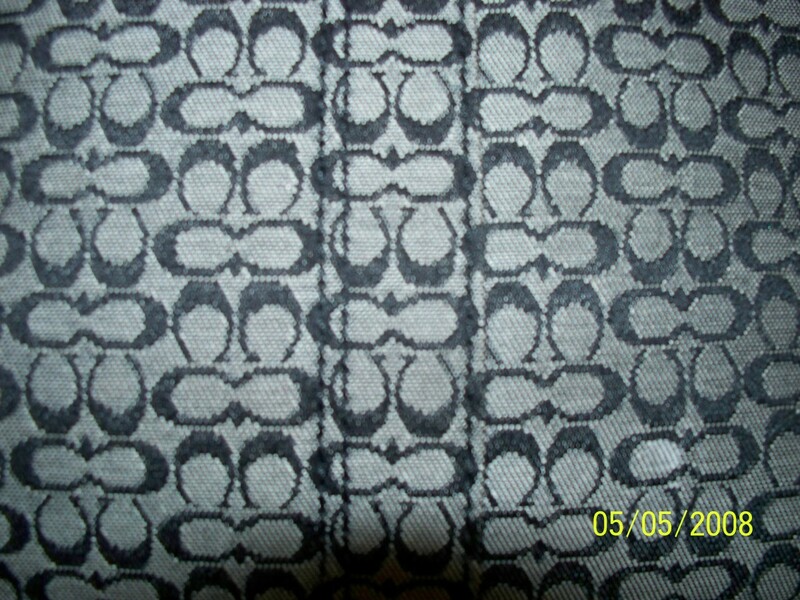 I hardly ever buy fabric for any project, this or others. I am a huge believer in recycling clothes that are worn out or outgrown, etc. into a work of art. I even have friends that save their kids' castoffs for me, to use in craft projects. I am already thinking of what I have that I can turn into one of your rugs. I really like the idea. Hi Icebenefield, I found your purses! Looking good and I'm glad there are now two of us in the world who invented this technique of fine tuning the crochet "yarn"! It can look very alternative in style sometimes, but don't you just love how it costs nothing? Voted awesome! Silwen, thanks for commenting. You are right, using different fabrics help achieve different looks. Either way, these are fun to make. Great purse. I would use some kind of synthetic fabric that do not fray, to get more delicate look. But it is my personal opinion. The pattern is great. And you are right, crocheting is very relaxing. art purses, thanks for reading. Glad you enjoyed it. I wouldn't say so much that I have patience. Crocheting is relaxing for me, very therapeutic. Creating purses is an obsession for me. Hope your mom enjoys this too. I'm heading over to your hubs right now. Icbenefield what incredible patience you must have! I am amazed. I'm a handbag designer and I take my hat off to you for such ingenuity. 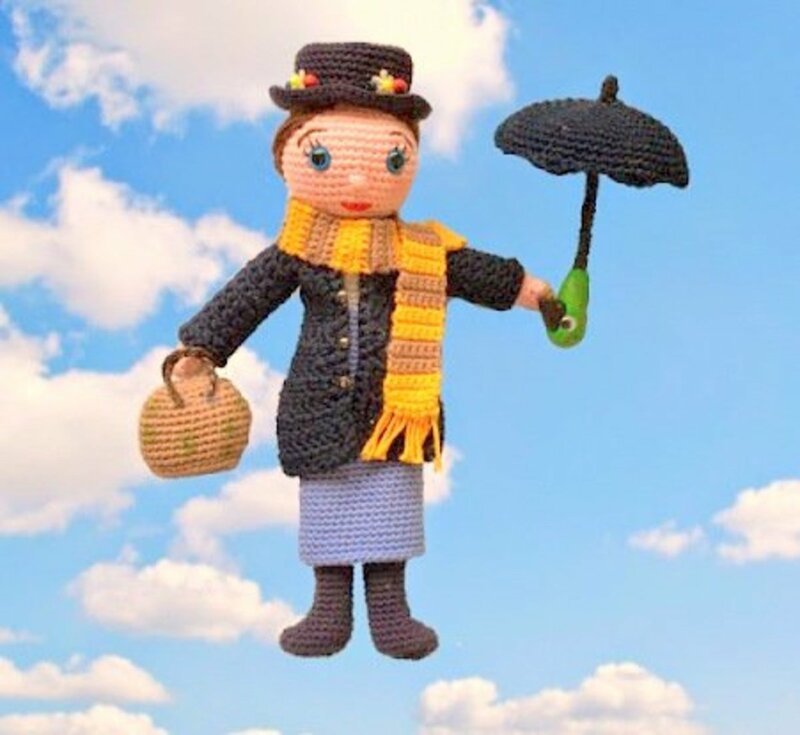 My Mom used to crochet- I'm going to pass this on to her too. Moira, thanks for reading and commenting. I hope you enjoy making your purse. Thanks brinafr3sh for stopping by and commenting. I love to crochet and it doesn't have to be yarn. I use whatever I have available. I've even used string, ribbon and plastic bags. Vickie, I hope she enjoys this project. It's easy enough for a beginner. Your daughter sounds like a girl after my heart. Thanks for reading. This looks like fun! My daughter just learned to crochet and she LOVES frilly, girly purses. Bet she'll love one of these for sure. Thanks, fetty. This is my first hub using photos. It was a fun project. This is an excellent hub. You have done a wonderful job offering clear, concise instructions with very good photos. Congratulations on a great hub!